Will you Bet on your Health? 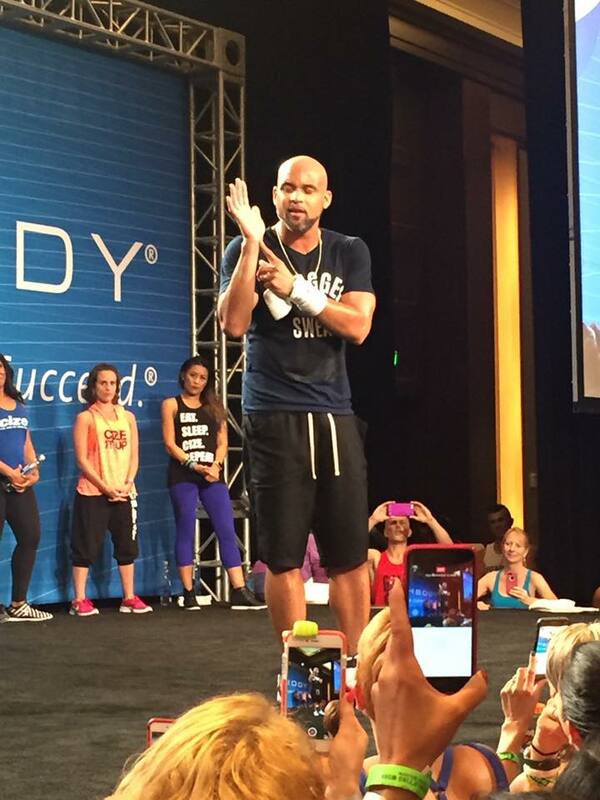 Beachbody will in September! Take the Health Bet Challenge! Guys, it's no secret that this is the time of year where life gets really really crazy. Kids are going back to school, teachers are back to work. You're managing not only YOUR schedule but your children's school and extra curricular schedules too and there just never seems to be enough time in the day to get it all done. Not to mention, that increased interaction in the classroom can be a germ breeding machine that kids just love to carry home with them! Taking care of YOURSELF becomes even more important now to keep up with the constant demands. You have GOT to take care of yourself before you can truly, effectively care for others. So why not take the time to learn how to make yourself a priority, fuel your body for what it needs, drop a few pounds in the process AND earn a little fun money! Don't worry, you'll have plenty of help! 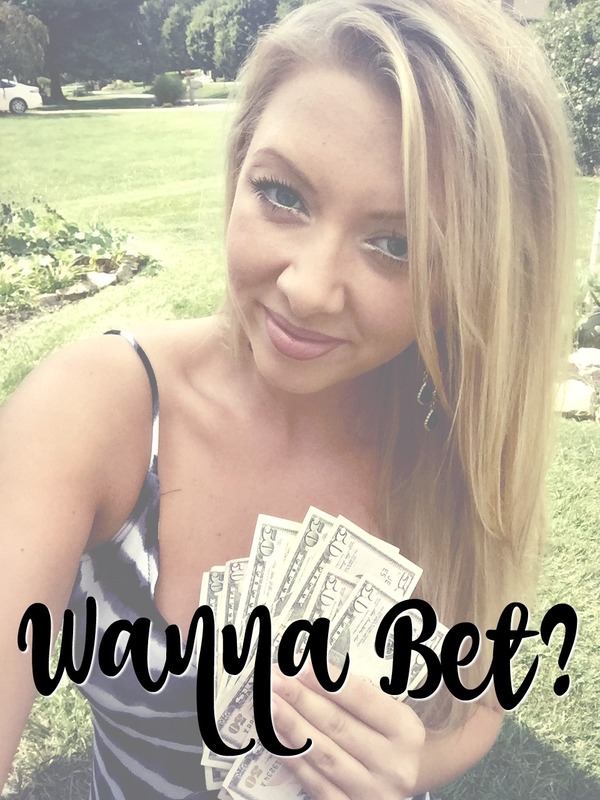 What is the Health Bet Challenge? Your first question, as mine would be, is probably, "What the heck is the Health Bet Challenge?" total during this challenge and everyone who enters and qualifies will automatically win an equal share of the pot! Don't believe me? Don't take my word for it! Read all about it on Beachbody's own website here. That's a pretty sweet deal right? So what's the catch? You want to know the #1 thing people come to me for help with when they have a goal they are trying to achieve? Not only do challenge groups provide this but Beachbody is sweetening the deal in September by investing in YOUR health and believing that YOU can stick to your goals. 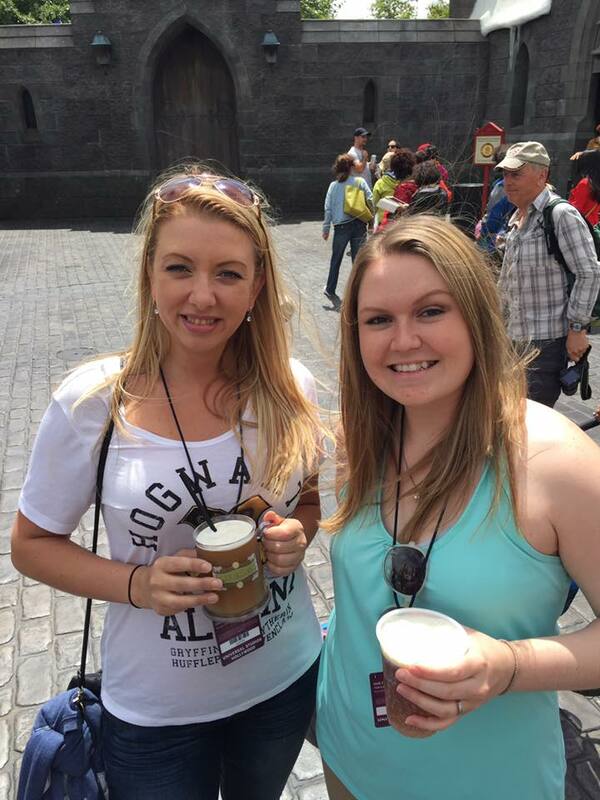 All you have to do is qualify, and I'll share how to do that in just a moment. But hey, if you don't take the bet, it's no skin off my nose! The more people who enter, the smaller the pot will be. It simply means more money to go around for those who DO take a chance on themselves and participate! But you are guaranteed to get something....and something is definitely better than nothing!! ALRIGHT ALREADY! How do I qualify? Geez! Slow your roll, I'm getting there!! 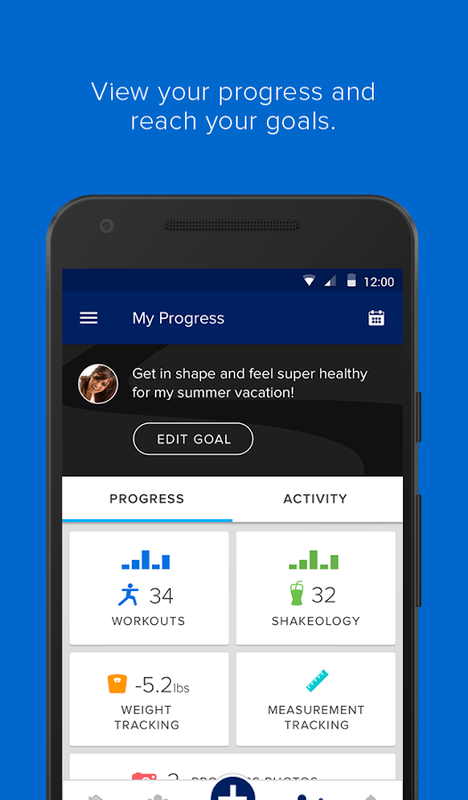 To get a piece of the pot, all you have to do is participate in an online challenge group with me through Beachbody's new My Challenge Tracker App. My group will be opening on August 29th with our plan and prep week and will run for 4 weeks after that, officially starting on Sept 5th, the first qualification week. To participate in a challenge group you MUST be doing a Beachbody at home workout program and drinking shakeology for the duration of the challenge. Already have these things? GREAT! Shoot me a message to talk about your goals and we'll get you set up and added! If you don't have a program and shakeology, my goal as your coach is to help YOU find a program that best suits YOUR needs, your goals, your ability level and your interests. 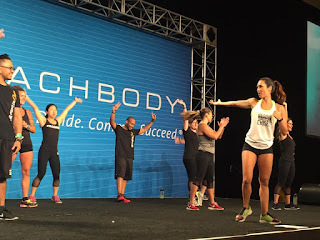 Best part about it, you can do it right from the comfort of your own home OR if you prefer a social environment take it to the gym with you and stream from your phone, tablet or computer through Beachbody on Demand. 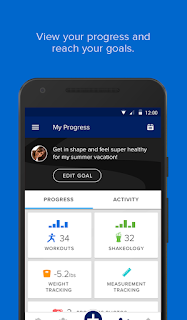 To meet the requirements to win money during this challenger you must login to the My Challenge Tracker App and record 5 entries of drinking Shakeology per week (with photo's) PLUS 3 workouts per week. Guys....FORGET about the money here for a second....this is PURE ACCOUNTABILITY right here. This is helping YOU stay on track with your goals, and the money is just icing on the cake! Shakeology is seriously my go to health and fitness product, taking the place of every multivitamin or supplement I've ever taken. With over 70 superfoods, this little drink packs a SERIOUS nutritional punch and Beachbody is giving you even MORE incentive to join the health bet challenge by putting a whole BUNCH of their programs on sale in August. See below for the deets! Beachbody literally has something for everyone. So if the programs below on offer don't tickle your fancy, don't worry, there are plenty of options available and they are ALL discounted in some capacity. All of these packs come with Shakeology in what Beachbody calls a Challenge Pack. 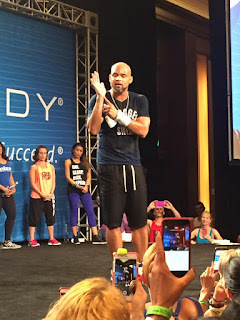 You also get a 30 day free trial of Beachbody's Club membership which gives you on demand access to 1000's of additional workouts and some bonus features that have JUST been launched this month. Like a little cooking show called Fixate by the creator of the 21 Day Fix program AND Beachbody's brand new Reality TV show, "The 20's" which is the search for the next celebrity Beachbody trainer that YOU can help vote for! All of the programs come with a full fitness and nutrition plan plus me as your coach to guide you to success! I've included links to youtube videos for each which will do a better job of describing them then I can and a link to purchase for anyone who wants to skip the middle man (me) and hop to it. 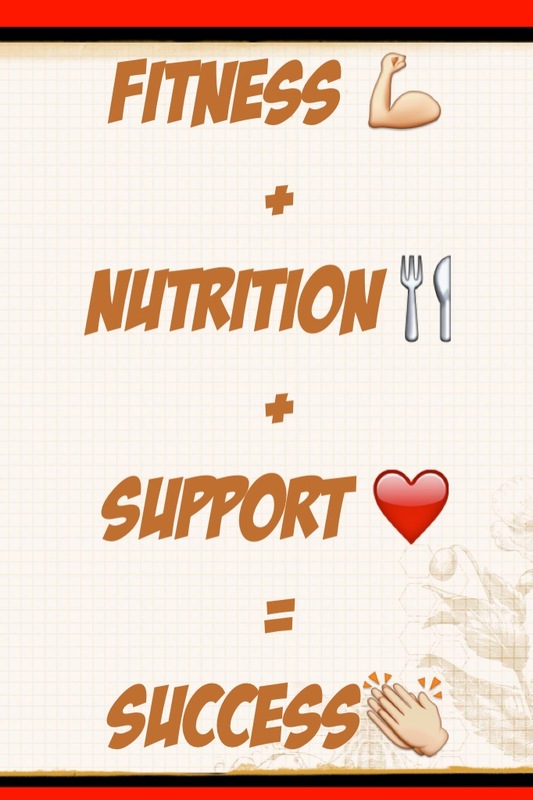 But know I'm here if you have questions and shoot me an email to be added to my challenge group for support. ALL of these programs are only $10 (USD) when you try Shakeology for 1 month if you purchase in August. 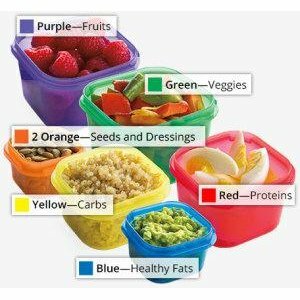 21 Day Fix - Click to Purchase. 21 Day Fix Extreme- Click to Purchase. Country Heat- Click to Purchase. 22 Minute Hard Corps- Click to Purchase. 3 Day Refresh- Click to Purchase. Club Membership Challenge pack (get 90 days access to on demand streaming of 1000's of beachbody's workouts and more)- Click to Purchase. Don't miss out! Prep week kicks off August 29th. Complete the application below to be considered for my challenge group! 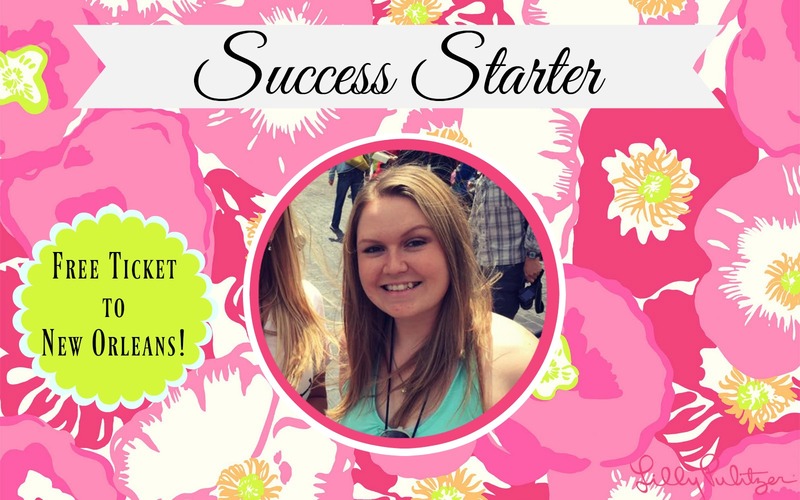 Congratulations to my Success Starter Coach! EEEEK. I have a SUPER exciting announcement to make!!!! In the Beachbody world, Thursdays are a pretty exciting time because we get a chance to celebrate major achievements, extending this celebration because it's well deserved! 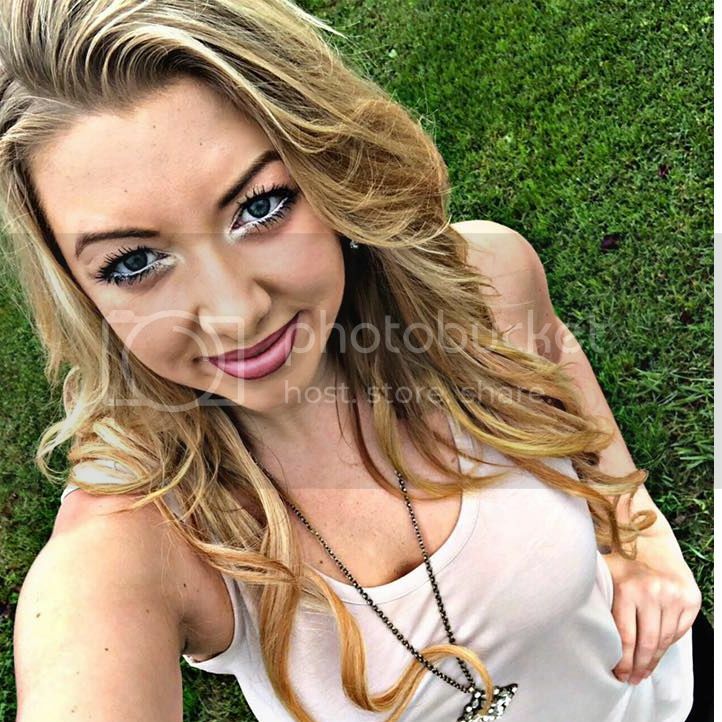 When Jade became a coach I KNEW she was destined for great things. 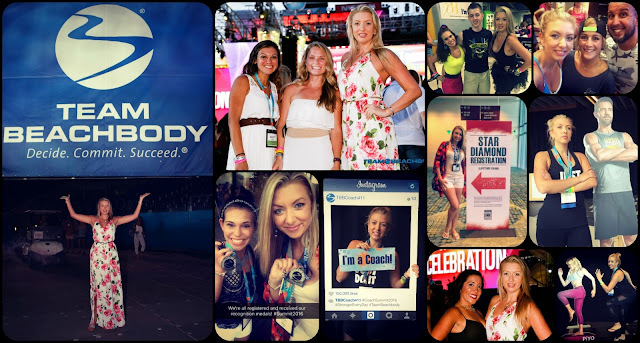 She has a heart of gold and a true desire to pay it forward and help other people achieve their health and fitness goals, falling in love with all that Beachbody has to offer, just as she has done! She is an amazing wife, daughter, 1st Lieutenant in the Army, a truly top notch friend and an incredibly caring coach and I could NOT be more excited to shout her out tonight for a fantastic accomplishment! In her first 3 months of being a coach, Jade has impacted the lives of at least 9 people, helping them work on their health and fitness goals, and in turn has earned her FREE ticket to next year's Beachbody Summit event in NEW ORLEANS! Having experienced Summit for the first time myself just 2 weeks ago, I can't wait to be with her next year in the "Big Easy" and celebrate our team together! Congratulations girl! I'm so INCREDIBLY proud of you and what you're doing to change your life and the lives of others! Do you have a full time job, social life, but STILL want to get fit? Maybe you're a full time momma or working mom but can't seem to find enough time to put your health and fitness first? This month brings new beginnings. Schools are soon to be back in session, teachers back in the classrooms, college students moving back on campus and with that bring added stress and responsibilities to our days. I KNOW what it's like to deal with a SUPER busy schedule. Heck if you've been following me for long, YOU know I'm busy from sun up to sun down. But last summer I made a commitment to myself that change needed to happen to help me live healthier and happier, and I'm SO glad I took that first step to start working on myself. 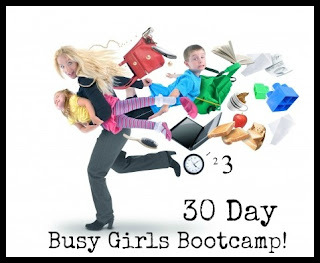 Now I'm inviting you to join me in my 30 day Busy Girls Online Bootcamp starting August 15th, where we'll teach you how to get fit in less than 30 minutes a day! 30 min or less EFFECTIVE workouts you can do from the comfort of your own home. 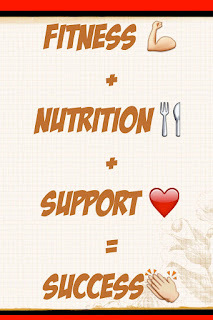 30 day superfood meal replacement to provide one super convenient nutrient dense meal on the go. A private online group with ME as your personal coach where you can check in daily for fun busy girl fitness & nutrition tips and ask questions! -30 Day FREE access to Beachbody on Demand which includes 1000's of additional workouts at your fingertips, as well as a brand new portion controlled cooking show starting this month! This week I'm also running a free 5 day Mini Butts & Guts Challenge. Check out a sneak preview from one of our booty workouts! Complete the challenge group application below if you're interested in being considered for a spot in this challenge! 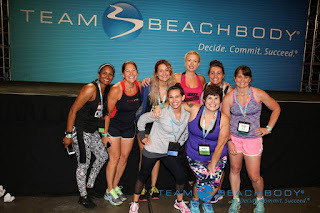 How Beachbody's Coach Summit has Changed my Life. Sometimes the emotions are just so strong, that the right words are hard to find. Let me tell you why the picture above means SO much to me, and let me try to do it without crying. Last year I sat behind a computer and I felt an ache in my heart. Life was good, I am by no means living a difficult life. I have been blessed with a great family and incredible friends. Last year I sat behind my computer and watched someone I had admired and followed for 2 years be celebrated for an incredible achievement....becoming the TOP coach in Beachbody and bringing her team of amazing coaches with her as the #1 team in the company. I felt such a hole in my heart for having tried coaching and given it up in 2013. I let fears get the better of me. I let stress in other areas of my life get the better of me and I let go of my dreams. Fast forward a year to this past Saturday night, and I literally had to pinch myself backstage as I braced myself to walk out to surprise and celebrate Melanie Mitro for becoming the Top Coach in Beachbody for a 2ND YEAR running. Except this time I was THERE! I got to experience this first hand, in person. 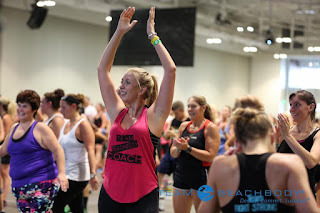 I got to hear the music, feel the excitement, stand beside Beachbody's top executives, surrounded by Diamond coaches (myself included) who are ROCKING their at home health and fitness businesses and congratulation my coach for all she has accomplished! I didn't start out with a background in health and fitness.....but what I started with was experience. Along the way I've GAINED experience in learning how to eat clean, lose weight, flex my willpower muscles, learn discipline, learn how to FUEL my body for what it needs and achieve an almost 20lb weight loss. I GAINED experience in how to help others do the same, starting and maintaining a successful online health and fitness coaching business and share with others this opportunity to do the same....from the comfort of our own HOMES! A year ago....I didn't know if I could do this......but I knew I wanted to and so I jumped in with both feet, into the dark, into the unknown and I just went for it. Got me on stage, in front of 25,000 beachbody coaches, beside the #1 coach in the company, celebrating her achievements and the accomplishments of our team. Gave me the chance to work out with 2 of my FAVORITE celebrity Beachbody Trainers, Shaun T (creator of Insanity and Cize) and Autumn Calabrese (creator of the 21 Day Fix program and co-creator of The Master's Hammer & Chisel). Gave me the chance to meet top coaches from all over the country and Canada too! Provided me with the opportunity to hear from some world renowned speakers such as Gary Vanderchuk and Maysoon Zaid (both of which if you haven't heard of them you NEED to look them up...they are INCREDIBLE! Pure excitement you guys! Rocking out during our workout! THAT is why ALL of these pictures mean so much to me and I literally can't look at them without tearing up. If becoming a coach is something that has ever crossed YOUR mind, but you're not sure whether it's right for you or where to start, reach out and let's talk. I'm happy to share my story with you, how my life has changed in the last year, how I got started and to where I am today with my coaching business!